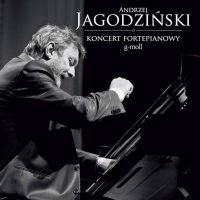 Polish Jazz pianist / composer Andrzej Jagodzinski is one of the veterans of the local scene and a prominent figure among his peers. He was one of the first musicians to record Jazz versions of the music by the great Polish composer Frederic Chopin, and his trio recording of Chopin's works from the early 1990s remains a classic of this variety and started a trend, which continues to this very day and produced dozens of similar projects over time, some of which are completely redundant. This album takes Jagodzinski to a whole new level of the Jazz-Classical Fusion trend, with a piano concerto he composed for a Jazz piano trio and orchestra, presented here. The piano trio consists of Jagodzinski and two other Polish Jazz veterans: bassist Adam Cegielski and legendary drummer Czeslaw Bartkowski. The orchestral parts are performed by the National Philharmonic Orchestra directed by Wojciech Zielinski. The three-part concerto consists of melodic / romantic atmospheric music, which is heard mostly in the background, supporting the piano trio. The themes are all quite well-rounded and easy on the ear, easily accessible to the average listener and not really challenging his intellect. The trio performance is very good, as expected from such distinguished musicians, but also lacks a certain degree of excitement, which is expected in Jazz. The entire project seems to be making an effort of not stepping on anybody's toes. Overall this is a very "slick" piece of music, which undoubtfully will find many eager listeners, who like romantic, lyrical orchestral music. Enthusiasts of more ambitious Jazz projects might find this disappointing. The album lasts only for about 36 minutes, which really puts it in the EP category, regardless of the elegant digibook packaging. 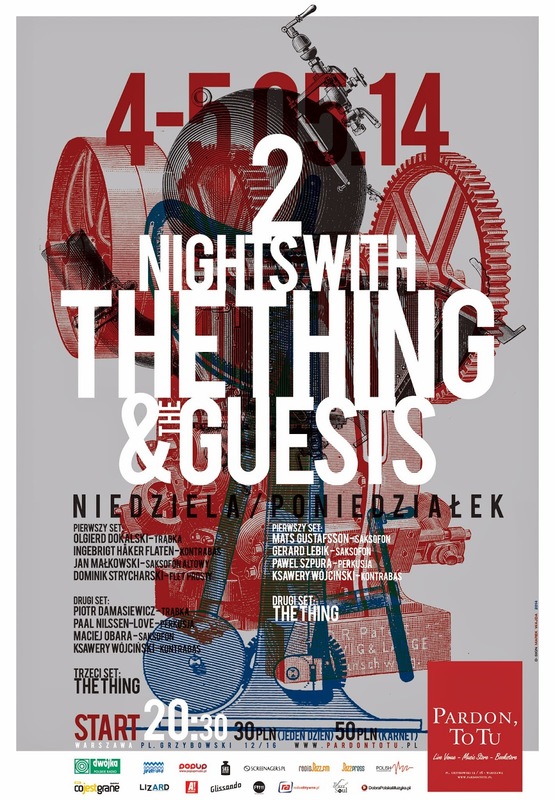 2 Nights with The Thing and The Guests !!! Na początek maja na scenie Pardon To Tu wystąpi w ramach dwudniowej rezydencji skandynawska supergrupa The Thing, czyli saksofonista Mats Gustafsson, kontrabasista Ingebrigt Håker-Flaten i perkusista Paal Nilssen-Love !!! Grupa The Thing rozpoczęła działalność w lutym 2000 roku podczas serii koncertów i sesji nagraniowych w Sztokholmie. Jej członkowie są doskonale znani na scenie jazzowej. Wystarczy tylko wspomnieć ich współpracę z Peterem Brötzmannem, Kenem Vandermarkiem, Joe McPhee, Paul Lovensem czy Barry Guy’em. Obecnie, obok Atomic, jest uznawana za najciekawszy skandynawski zespół grający muzykę improwizowaną. Ich muzyka wywodzi się z tradycji niemieckiego, brytyjskiego i amerykańskiego free jazzu lat sześćdziesiątych, ze szczególnym uwzględnieniem twórczości Dona Cherry’ego, który przez wiele lat mieszkał w Sztokholmie. W repertuarze grupy rzadziej grywane są kompozycje Cherry’ego, które powstały podczas jego pobytu w Szwecji. Wszystkie do tej pory wydane płyty The Thing („The Thing”, „Action Jazz”, „Live At Bla”, „Garage”, The Thing with Joe McPhee and Cato Salsa Experience „Sounds Like A Sandwich”, Two Bands And A Legend „I See You Baby”) były znakomicie przyjęte zarówno przez krytyków, jak i fanów, a jak pisał krytyk All About Jazz: „koncerty tych trzech znakomitych improwizatorów są niesamowitą mieszanką tradycji, awangardy, energii i szaleństwa. Mats Gustafsson - urodzony w 1964 roku, jeden z najbardziej twórczych saksofonistów w Europie. Początkowo prowadził zespoły, w składzie których występowała czołówka improwizatorów skandynawskich. Od 1990 większość czasu spędza w Chicago, występując i nagrywając z najlepszymi przedstawicielami tamtejszej sceny free jazzu, jak: Hamid Drake, Ken Vandermark, Barry Guy, Steve Lacy. Jest współzałożycielem takich znakomitych grup, jak: The AALY Trio, Peter Brötzmann Tentet, Gush, The Thing. Ingebrigt Håker Flaten - basista, kompozytor i improwizator norweski. Ukończył konserwatorium w Trondheim, gdzie będąc studentem poznał Paala Nilssen-Love’a i Havarda Wiika i założył swój pierwszy profesjonalny zespół – kwartet Element. Z Paalem tworzy od tego czasu najsłynniejszą europejską sekcję rytmiczną. Głównym polem jego muzycznej aktywności są zespoły Atomic, The Thing, kwintet z Jeffem Parkerem i Davem Rempisem, współtworzy także inne projekty: Free Fall, The Electrics, The Outskirts, Dave Rempis Percussion Quartet, Scorch Trio, Trinity, IPA, Daniel Levin Trio. Paal Nilssen-Love - perkusista, kompozytor i improwizator. Bez wątpienie najważniejszy perkusista szeroko pojętej europejskiej sceny freejazzowej ostatnich lat i jeden z najbardziej kreatywnych norweskich muzyków młodego pokolenia, występuje i nagrywa wraz z Kenem Vandermarkiem, Davem Rempisem, Fredem Lonberg-Holmem, Sabirem Mateenem, Bobby Bradfordem, Jimem O’Rourke, Terrym Ex, Thurstonem Moorem, Peterem Brötzmannem (Chicago Tenten), Evanem Parkerem, Matsem Gustafssonem (The Thing), Johnem Butcherem, Jebem Bishopem, Stenem Sandellem, Joe McPhee i Toshinori Kondo. Lider własnego kwartetu TownOrchestraHouse. Koncertuje i nagrywa także solo. Właściciel oficyny wydawniczej PNL Records. This is an absolutely brilliant album in the Jazz & Poetry vein, for which the Polish Jazz scene is so famous and in which it excels since its early days. Vocalist Inga Lewandowska performs eleven songs, all of which share the author of their lyrics, the Polish poetess Agnieszka Osiecka, an iconic figure of the post-WWII Polish Culture and author of over 2000 song lyrics. Lewandowska and pianist / composer Kuba Stankiewicz, who also beautifully arranged all the songs on this album, chose mostly Jazz-related material, which features Osiecka's lyrics and was written by some of the most prominent figures on the Polish Jazz scene, like Wlodzimierz Nahorny, Jan Ptaszyn Wroblewski, Zbigniew Namyslowski and others. Stankiewicz composed two of the songs presented here. 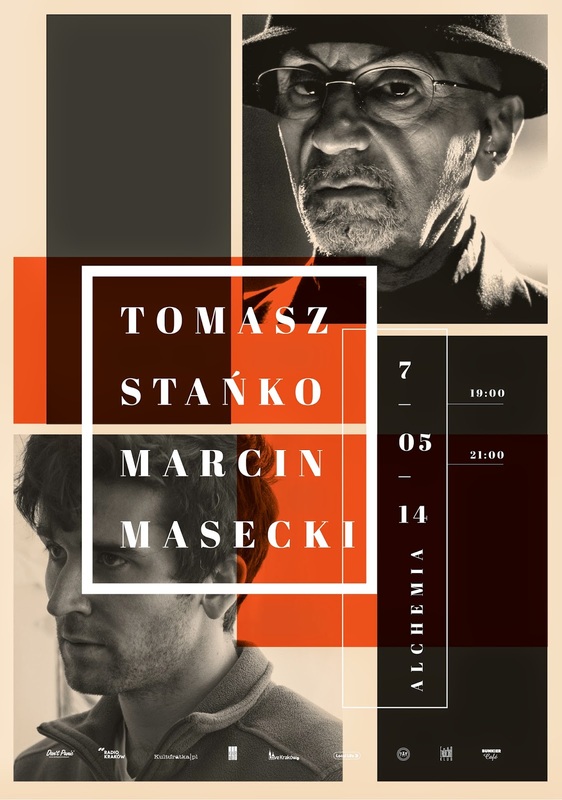 The vocalist is accompanied by a quintet of excellent musicians, which include in addition to Stankiewicz also trumpeter Piotr Wojtasik, trombonist Grzegorz Nagorski, bassist Darek Oleszkiewicz and Austrian drummer Mario Gonzi. The quintet provides superb support to the vocalist but also plays extended instrumental passages, which are simply exquisite examples of European Jazz lyricism. Especially notable is the delicate and sympathetic work by the piano and the "singing" bass solos, for which Oleszkiewicz is world famous. One of the songs presents a vocals / bass duet, which is a true classic! Lewandowska does a splendid job, utilizing more of the Polish Jazz vocal tradition firmly established by legendary performers like Ewa Demarczyk and Wanda Warska, rather than trying to be more up to date, which altogether works in her favor. That time of expressive, melancholic singing, in which every breath matters and every syllable is clearly pronounced and is perfectly audible is a rarity and I wish the new generation of Polish Jazz vocalists would pay more respect to that "lost" Art form. The songs are mostly low key, as the title suggests and Lewandowska cleverly avoids any flashy exhibitionism, staying well within the established milieu, which is chick and elegant. In many respects listening to this album feels like an "end of an era". It was, after all, recorded at the very closing of the 20th Century and seems, in retrospect, to be the last of its kind, a tribute to the days when Polish Jazz experienced its first golden era, associated with intellectual, artistic and often revolutionary spring, which was soon over. I am glad I discovered this wonderful gem, although late, but nevertheless most enthusiastically. It is little known, as it managed to hide from me for so long, but should be studied, as already mentioned, by all upcoming vocalist, as it is a classic point of reference. It is also an absolute must for every Polish Jazz connoisseur, anywhere on this planet. 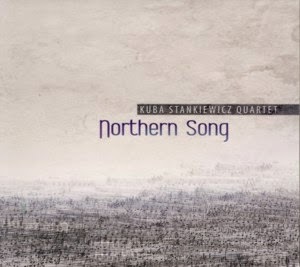 This is the debut album by Polish Jazz pianist / composer Kuba Stankiewicz recorded in a quartet setting with saxophonist Henryk Miskiewicz, bassist Adam Cegielski and drummer Cezary Konrad. It presents nine tracks, seven of which are original compositions by Stankiewicz and two are standards. Stankiewicz started his career in the mid 1980s as a member of Zbigniew Namyslowski's group at the time, recording with him two albums. In the late 1980s he studied at the Berklee Collage of Music in Boston and upon his return to Poland formed the quartet which recorded this album. Over time he established for himself a leading position on the local Jazz scene as composer, arranger, performer and educator. 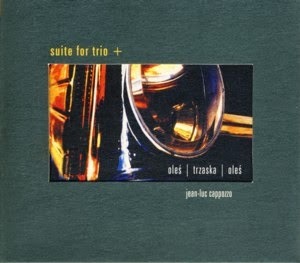 This album presents melodic mainstream Jazz, executed with flair and perfection by a quartet of highly talented and experienced players, who continue the tradition of Polish Jazz established three decades earlier with a mixture of American Jazz tradition at its best and European lyricism and elegance combined into an irresistible swinging and sparkling Jazz presentation. The individual performances by all quartet members are truly outstanding. Miskiewicz plays with his usual fluency and melodic smoothness, which makes him one of the best players on the scene. The rhythm section is also right where it belongs, with the bass supporting the melody lines on one hand and stating the rhythmic pulse on the other and the drums keep perfect time without being obtrusive. But it is Stankiewicz, who is at the center of the listener's attention, both as a player and a composer. His beautiful tunes sound remarkably "familiar" even at the first encounter, which of course is a sign of perfect harmonic balance and melodic excellence that characterizes all great Jazz pieces. His piano playing is another proof of his sublime sensitivity and feel for Jazz, which is immediately apparent. It is hardly surprising that this album won the "Album of the Year" title at the time of its release, over twenty years before these notes are being written. In retrospect it is quite clear that great music ages well, and this album sounds as relevant and exciting today as it did at the time it was recorded. Although it is rooted in the mainstream tradition, it presents the best side of the tradition, which is simply eternal. Listening to this album should be pleasurable to every true Jazz connoisseur, anywhere on this planet, as it is simply one of those gems that are always worth revisiting. This is the debut album by a quartet co-led by two young Polish Jazz musicians: saxophonist Tomasz Licak and drummer Radek Wośko. As students of the Carl Nielsen Academy of Music in Odense, where many other Polish musicians study lately, they completed their quartet by adding two Danish players: pianist Carl Winther and bassist Martin Buhl Staunstrup (who appears on albums as Martin Buhl only). The album comprises of nine original compositions, four by Wośko, three by Winther and two by Licak. In many respects this album is quite typical of the new generation Polish (and Polish/Danish) Jazz bands, which display mostly an incredible level of musicianship and artistry. These bands sound professional and flawless from day one, which is pretty amazing. The individual statements are all excellent, as is the interplay between the band members. In short this is really an excellent Jazz album, with solid original compositions and inspired performances, which would not shame much older and more experienced professionals. The music is spiced with the European Jazz elements, like melancholy, lyricism and elegance, which are often emphasized by the original compositions. Winther is in charge of the more melodic/delicate elements while Licak plays slightly more expressive, yet still mostly very melodically. The rhythm section is perfect at what it does, with Buhl being the pillar of strength and order, balanced by Wośko who plays with a significant degree of freedom. Together they sound like one organic body making music. If I could suggest anything it would be for Winther, Buhl and Wośko to record an album as a piano trio, which I think could be simply sensational. Over time there appears to be a tendency among the Polish/Danish bands to be significantly more conventional/mainstream oriented than similar bands in the same age bracket, which arise in Poland. Most probably this has something to do with the teaching at Odense, or the atmosphere at the Danish Academy, which influences its alumni, which strangely enough emphasizes individuality and courage in its formal agenda. As a result this album, as excellent as it is, lacks a certain degree risk taking, adventure and unexpectedness. Everything here is simply just right, but alas often just "too right". However, considering the talents of these musicians one can hope that time will work in their favor. This is definitely an excellent debut, which should make the participating musicians very happy and the potential listeners even happier. Listeners who love modern mainstream based on melodic themes and played with flair and elegance should enjoy this music immensely. Well done gentlemen! 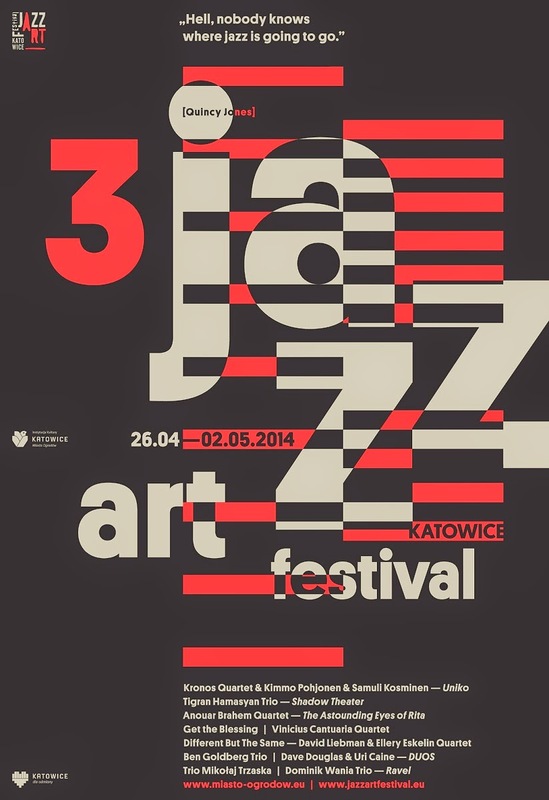 At the turn of April and May, the JazzArt Festival will be held for the third time in Katowice (Poland). The date is no coincidence - on 30 April the whole world celebrates the International Jazz Day announced by UNESCO. Great music personalities from all over the world, from New York to Tunisia, will perform in Katowice. The motto of this year's edition is a quote by Quincy Jones, American musician and producer, "Hell, nobody knows where jazz is going to go" - very up-to-date statement, as the jazz scene is becoming remarkably diverse. Among the artists performing at this year's festival are: Tigran Hamasyan, pianist of Armenian descent; Anouar Brahem, master of oud; and Vinicius Cantuaria, Brazilian ambassador of bossa nova. Ellery Eskelin & David Liebman Quartet, Uri Caine & Dave Douglas as a duo and Ben Goldberg Trio will play the jazz straight from the Big Apple. Get the Blessing, a band from Bristol, will present jazz improvisations with lots of electronics. 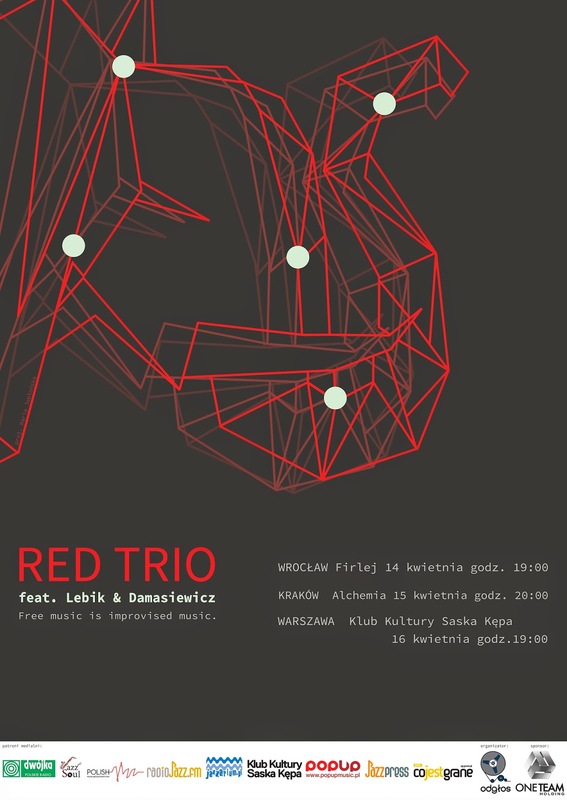 The Polish jazz will be represented by Trzaska/Rychlicki/Szpura and Dominika Wania Trio. Artist such as Kronos Quartet, California string ensemble, together with Finnish musicians: accordionist Kimmo Pohjonen and drummer Samuli Kosminen in the "Uniko" project will add splendour to the final concert. Tomasz Stańko & Marcin Masecki w Alchemii !!! Kraków, 07.05.2014, Klub Alchemia, godz. 19.00 i 21.00. Niepowtarzalne dźwięki jego trąbki brzmią w najbardziej prestiżowych venues na świecie, a jego muzykę wydaje renomowana monachijska wytwórnia ECM Records. Zaczął grać w końcu lat 50. na jazzowej scenie Krakowa. Joachim Ernst Berendt pisał o nim, że był pierwszym w Europie trębaczem grającym free. W latach 60. Stańko stał się filarem kwintetu Krzysztofa Komedy, z którym nagrał arcydzieło europejskiego jazzu, album „Astigmatic”. W początku lat 70. na czele własnego zespołu Tomasz Stanko Quintet, wszedł do czołówki free jazzu i pojawiał się na najważniejszych europejskich festiwalach. Pozycję tę utwierdziły kolejne projekty: Unit z Adamem Makowiczem oraz kwartet prowadzony z Edwardem Vesalą, zespół, z którym w 1975 roku rozpoczął współpracę z wytwórnią ECM. Wydany wówczas album „Balladyna”, stał się legendą po obu stronach Atlantyku. W latach 80. Stańko grywał w orkiestrach Cecila Taylora, prowadził zespoły C.O.C.X. i Freelectronic, do których wprowadzał inspiracje muzyką reggae, latino, elektroniką oraz rapem. W latach 90. zaczął się powrót Stańki na jazzowy szczyt i kolejna faza współpracy z wytwórnią ECM. Jego nowy kwartet z Bobo Stensonem, Andersem Jorminem i Tony Oxley’em okrzyknięto najlepszą jazzową grupą dekady – rzadka najwyższa ocena płyty „Leosia” w „Penguin Jazz Guide”. Wydany w 1997 roku album „Litania”, który zaprezentował światu muzykę Krzysztofa Komedy stał się jego pierwszym światowym bestsellerem. Dzięki płytom „Soul of Things” i „Suspended Night” nagranym z młodym polskim kwartetem na początku nowego wieku Stańko przebił się na rynek amerykański, gdzie od tamtej pory regularnie koncertuje. W 2002 został pierwszym laureatem European Jazz Prize przyznawanej w Wiedniu, dwa lata później odznaczono go w Polsce wysokim odznaczeniem państwowym, Krzyżem Komandorskim Orderu Odrodzenia Polski. Od ośmiu lat regularnie pojawia się w pierwszej dziesiątce trębaczy prestiżowej dorocznej ankiety amerykańskiego magazynu magazynu „Down Beat”. Ta sama ankieta honorowała go również w roli kompozytora. Jako lider wydał 37 albumów, jest również autorem muzyki do wielu filmów i spektakli teatralnych. Od 2008 roku mieszka w Nowym Yorku na Manahattanie. Jego przedostatnia płyta to „Dark Eyes” nagrana w 2009 roku z nowym skandynawskim kwintetem. Wśród jego aktualnych projektów znalazły się też zespoły z nowojorskimi muzykami, m. in. Lee Konitzem i Craigiem Tabornem. W 2010 ukazała się w Polsce autobiografia artysty, „Desperado”, która stała się bestsellerem. W roku 2011 Instytut Smithsona, największy na świecie kompleks muzeów i ośrodków edukacyjno-badawczych, wydał sześciopłytową kompilację “Jazz: The Smithsonian Anthology”, którą zamyka utwór Tomasza Stańko, “Suspended Night Variation VIII”, wyróżniając go tym samym jako niewielu z Europejczyków. Rok 2013 rozpoczyna się premierą albumu “Wisława”. Podobnie jak jego młodzieńczy idol Miles Davis, polski trębacz Tomasz Stańko ma dar układania świetnych zespołów, a ten, sformowany w światowej stolicy jazzu, obiecuje bardzo wiele. Thomas Morgan i Gerald Cleaver to jedna z najbardziej czujnych sekcji bas/bębny we współczesnej muzyce improwizowanej, a kubański pianista David Virelles, inspirowany muzyką rytualną a także Theloniousem Monkiem i Andrew Hillem, wydaje się szczególnie dobrze usposobiony do nabrzmiałego mroku i wyrafinowanej grozy free ballad Stańki. W szybkich tempach jakby wszyscy czterej wkraczali na nowe terytorium, z bardzo ekscytującym rezultatem. Inspiracją dla nowych kompozycji Stańki z tego podwójnego albumu była także poezja Wisławy Symborskiej, polskiej poetki, eseistki, laureatki Nagrody Nobla, zmarłej w 2012 roku. Jak Stańko pisze w książeczce płyty “Lekturze słów Wisławy Szymborskiej zawdzięczam wiele pomysłów i inspiracji. Spotkania z Nią i współgranie z Jej poezją nadały rozmach także i tej muzyce, którą chciałabym z szacunkiem dedykować Jej pamięci. Marcin Masecki, 1982, Warszawiak, pianista, kompozytor, absolwent prestiżowej Berklee College of Music w Bostonie, laureat wielu nagród, w tym pierwszego miejsca na Międzynarodowym Konkursie Pianistów Jazzowych w Moskwie 2005, oraz Grand Prix w Jazz Hoeilaart’98 w Bruskeli z zespołem Alchemik. Prowadzi, bądź jest członkiem wielu projektów o szerokim zasięgu stylistycznym. Kreatywnie przekracza granice między poszczególnymi gatunkami oraz między tak zwaną sztuką wysoką i niską. Obecnie jest członkiem międzynarodowego zespołu rockowego Paristetris, prowadzi sekstet jazzowy Profesjonalizm oraz 10-osobową orkiestrę dętą Polonezy, grającą polonezy własnego autorstwa. Jest też dyrektorem artystycznym pierwszej edycji WORu – Warszawska Orkiestra Rozrywkowa, 18-osobowy big band złożony z warszawskich muzyków pochodzących z różnych środowisk muzycznych. Jego równoległą pasją jest muzyka klasyczna, którą prezentuje w nieortodoksyjny sposób i najczęściej również w nieortodoksyjnych miejscach. Gra najczęściej jak tylko może na swoim spersonalizowanym 6-oktawowym pianinku i stara się w swoich interpretacjach ożywić dość już skostniałe pomniki kultury europejskiej. Tak na przykład pierwsza płyta z tego gatunku „Die Kunst der Fuge” J.S. Bacha została zagrana na tradycyjnym fortepianie, ale za to nagrana na stary dyktafon kasetowy. Współpracował z wieloma artystami - m. in. Raphael Rogiński, Tomasz Stańko, Macio Moretti, Pink Freud, Muzykoterapia, Michał Górczyński, Niewinni Czarodzieje, Piotr Orzechowski, Waglewski/Fisz/Emade, TAQ, Ziv Ravitz, Wacław Zimpel, Tomasz Pokrzywiński, Candelaria Saenz Valiente oraz Pictorial Candi. W 2013 artysta został uhonorowany dwiema nagrodami: „Mateuszem Trójki” oraz Paszportem Polityki w kategorii Muzyka Rozrywkowa. Mieszka w Warszawie i w Buenos Aires. 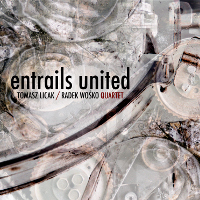 Polish-Jazz blog provides media patronage for new album by Tomasz Licak/Radek Wośko Quartet !!! The band was formed in 2012 as an initiative of drummer Radek Wośko. Originally a trio, which apart from the founder of the band featured two excellent Danish musicians -pianist Carl Winther and bassist Martin Buhl Staunstrup. In 2013 saxophonist Tomasz Licak joined the group and so international quartet was finally established. The two leaders had taken their first steps into jazz together for more than 10 years ago in Szczecin, and than met again in Denmark where they studied at Carl Nielsen Academy of Music in Odense. Positive energy and creative joy resulted in Grand Prix of the 49th Jazz nad Odrą Festival in Wrocław in 2013. Tomasz Licak / Radek Wośko Quartet is one of Polish-Danish bands in recent years initiated by Polish musicians living in Denmark. Tomasz Licak, a graduate of Carl Nielsen Academy of Music in Odense, continues his postgraduate studies at the elite Rhytmic Music Conservatory in Copenhagen. Radek Wośko, graduate of the first degree at the Carl Nielsen Academy of Music in Odense, have spent this year developing his skills while living in New York and Ghana. Carl Winther, excellent musician of younger generation, has won numerous prizes at international jazz competitions (such as Getxo Jazz Competition 2011 with his own trio). In recent years he toured with such musicians as Jerry Bergonzi and George Garzone. The last member of the team is Martin Buhl, who currently studies at the Jazz Institute in Berlin with legendary Greg Cohen. Debut album is a result of two concert tours and a very productive year of band’s existence. Success in Wroclaw helped and fastened the decision of recording and issuing the debut album. The recordings were made at RecPublica studio in Lubrza, November 2013, during the group’s second tour. It is a musical summary of quartets work until now. All songs on the album are written by the members of the band, most of them specifically for this recording. "Entrails United", title of the album, refers to the very essence of the creative process. United is also a word that describes the strength that comes from a common musical development, playing together, communicating through music. It was created by the collision of strong personalities, for whom jazz, improvised music, is a type of binder, a common language, which they perfectly understand. The main source of inspiration is the quartet playing together, being on the stage in the sense of creating new value, which is the result of crossing their skills and exceeding the limits. RED Trio feat. Lebik & Damasiewicz - trasa !!! Przedstawiciele sceny muzyki improwizowanej najwyższych lotów odwiedzają Polskę coraz częściej. Najciekawsi muzycy, największe gwiazdy i doskonałe dźwięki to zjawiska do jakich powoli zaczynamy się przyzwyczajać. Tym razem na trzy koncerty przylatuje skład niezwykły, bo stworzony z dala od Chicago, z dala od Skandynawii... Nietypowe spojrzenie na współczesną muzykę improwizowaną z korzeniem jazzowym prezentowane przez najciekawszych europejskich muzyków – portugalskie Red Trio już niedługo ukaże się fanom we Wrocławiu, Krakowie i Warszawie. Występy w naszym kraju, budzą dodatkową ciekawość z powodu spotkania gwiazd (Hernani Faustino, Rodrigo Pinherio i Gabriel Ferrandini) z wielkimi osobowościami polskiej sceny jazzowej. Będzie to kreacja kwintetu z udziałem polskich artystów, Piotra Damasiewicza oraz Gerarda Lebika. Jak zabrzmi taki zestaw? To dopiero gratka dla wielbicieli muzyki improwizowanej, będzie się działo! Red Trio to zespół trzech lizbońskich muzyków: Hernani Faustino, Rodrigo Pinherio i Gabriel Ferrandini. Ta trójka to reprezentacja czołówki niezwykle silnej portugalskiej sceny muzyki improwizowanej. Zespół przedstawia wielotorowe podejście do muzyki i jej kreowania przez improwizację. Dźwięki tworzone przez Red Trio nazywane są free jazzem, jednak sami muzycy starają się uciekać od szufladkowych definicji własnej sztuki. Formacja eksploruje najbardziej płodne zestawienie jazzowego tria, czyli połączenie fortepianu, kontrabasu i perkusji. Jednak idea z reguły uprzywilejowanego fortepianu obsługiwanego przez sekcję, ustępuje tu miejsca trzem graczom będącym na równych pozycjach, którzy podejmują próbę symbiotycznej i interaktywnej improwizacji pomiędzy sobą, kreując przestrzeń, w której barwa i rytm spajają się w całość. Red Trio nagrywa dla renomowanych wytwórni płytowych, takich jak Clean Feed i No Business, koncertując na całym świecie, będąc gościem prestiżowych festiwali i sal koncertowych. Zespół ma na swoim koncie docenione przez krytyków z całego globu nagrania (m.in. z Natem Wooleyem i Johnem Butcherem). Album „Empire” nagrany z Johnem Butcherem otrzymał tytuł Płyty Roku (Album Of The Year) wg. najbardziej opiniotwórczego światowego portalu jazzowego (All About Jazz). Zespół obecnie promuje swoją najnowszą płytę „Rebento” wydaną przez prestiżową oficynę No Business. Tym razem Red Trio zaprosiło do współpracy wyróżniających się na polskiej scenie artystów – trębacza Piotra Damasiewicza oraz saksofonistę Gerarda Lebika. Połączyła ich wspólna pasja do kreowania nowych zdarzeń muzycznych poprzez stawianie artystycznych wyzwań. Z każdym z muzyków Piotr Damasiewicz i Gerard Lebik występowali już w różnych konstelacjach. Z Rodrigo Pinheiro i Hernani Faustino mieli okazję poznać się podczas pobytów w Portugalii, gdzie zagrali okazjonalne koncerty i zarejestrowali sesje nagraniowe. Współpraca z Gabrielem Ferrandinim od dwóch lat jest dużo mocniejsza. Damasiewicz i Lebik współtworzą z perkusistą formacje Power Of The Horns oraz ImproGraphic. Thanks to Roman Polański film "Pianist", awarded with 3 Oscars in 2003, Władysław Szpilman became universally one of the symbols of the survivors of Holocaust. But few people abroad or even in his native Poland were acquainted to any degree with his musical oeuvre. The reason for this is that Szpilman was first of all the performer and composer of very light and noncommittal popular tunes. Our grandparents or even parents knew melodies he composed by heart and I remember my father to whistle it to himself while he was shaving in the morning. But over last decades the complete change in the musical tastes of younger generations saw Szpilman songs less and less performed. Even the success of Polański movie did not change the situation and one must confess with complete surprise that this specific project is probably the first serious try to interpret songs written by Szpilman in jazz manner. That is not merely reproducing how they were played hundreds or thousands times before but digging deeper to try to discover them anew. The occasion for this was created by the order from the Tzadik festival in Poznań for its 2013 edition and by the support of Narodowy Instytut Audiowizualny which together with Multikulti recording label was responsible for releasing this album. In this case the public money was spent well as not only the legacy of the exceptional artist was reminded to the public but also young promising musicians were given the opportunity to prove themselves in inspiring project with the world class artist. 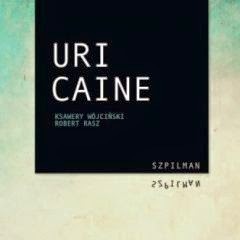 Uri Caine does not need to be presented to world jazz audience so let me only add that just from the start he seemed to me the perfect choice. Like Szpilman himself his style is built first of all on the strong foundation of classical music with jazz or pop being complementary. Last but not least he also is of the Jewish origin as Szpilman was. He is supported on this album by the double-bassist Ksawery Wójciński and the drummer Robert Rasz - arguably one the most "restless minds" in young Polish improvised music. The more one must admire how well they fitted in Caine's orthodox approach to this music. All tunes are easy to recognize and only gradually with the music and album unfolding the Caine and his young collaborators are starting to reveal to us some deeper layers of Szpilman and their own musical ideas. Although I admire Caine's technical proficiency and unbounded creativity I must confess that without Wójciński spontaneity and Rasz unpredictability it would feel somehow incomplete. All in all it is unquestionably the unique album and one of the strong contenders for the title of the Best Album in 2014 in Polish jazz. This is the debut album by a young Polish Jazz ensemble F.O.U.R.S. 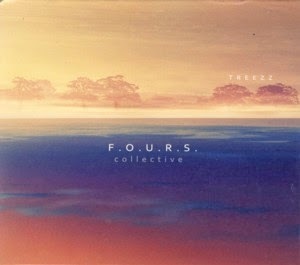 Collective, formed in 2010. The current quintet lineup was completed when the trumpeter Piotr Schmidt joined the existing members: saxophonist Stanislaw Plewniak, pianist Michal Salamon, bassist Jakub Dworak and drummer Szymon Madej. The album presents nine original compositions, five composed by Salamon and four co-composed by Salamon and Plewniak. The music is immediately recognizable as "spanking new", full of energy and vigor, which often characterizes the young Polish Jazz generation. Although kept well within the mainstream / melodic idiom, the music demonstrates a wide range of stylistic approaches, touching upon Jazz-Rock Fusion, classic modern Jazz and amalgamating World Music elements. But most importantly the level of the compositions is absolutely outstanding. Every tune on this album is a little gem, with a beautiful melody line, flowing structure and an ideal vehicle for improvisations. The individual performances are also first class; Salamon plays delicate acoustic piano and funky electric, Plewniak is especially effective on the soprano and the rhythm section does exactly what is right at all times, driving the music forward and providing the pulse which is an essential ingredient of this music. Schmidt, who is the most experienced player in the ensemble, sounds also invigorated in this setting and delivers some scorching trumpet solos. As a debut this is quite an achievement in any sense. Superb music, great playing, talent, determination and musical intelligence are all clearly visible here and hopefully this is just the first stem in a long a successful future career. Well done amigos! This is a great album recorded by Polish Jazz musicians: bassist Marcin Oles and drummer Bartlomiej Brat Oles, collectively known as Oles Brothers, with the American saxophonist Chris Speed and Russian (living in Germany) pianist Simon Nabatov. Together, as a quartet, they perform nine original compositions, seven of which were composed by Marcin Oles (who is the formal leader of this session) and two by Bartlomiej Brat Oles. The music is firmly based in the Jazz tradition, seemingly quite "conventional" melody based modern Jazz, but upon careful listening the complexity and intrinsic Freedom become more and more apparent as the album progresses from one tune into another. Both Speed and Nabatov play some excellent solos and contribute to the general quartet sound, which is glued together by the rhythm section. The overall atmosphere is reminiscent of the work by mid-period John Coltrane quartet, which of course is the best model any Jazz musician could strive to achieve. 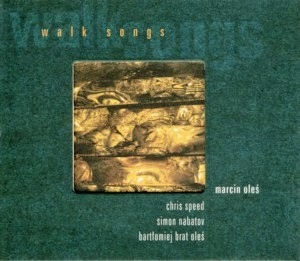 The tunes use often the specific "walking" bass outline, which is perhaps what Marcin Oles had in mind when he devised this project. But regardless of any intensions, the resulting music is simply some of the finest European Jazz created since the turn of the 21st Century. All four of the quartet members combine their individual power of musical expressions to create a result that is greater than the sum of its ingredients, which is always a wonderful experience. This kind of music shows clearly that music can be sophisticated and complex and be accessible to a diverse group of Jazz connoisseurs. Like all the other albums by the Oles Brothers, this album emphasizes their talents as composers, in addition to their abilities as players. The ambitious decision to play and record their original music almost exclusively is one of their trademarks and as a result we can all enjoy the wonderful music they are able to weave in their minds. All we can do is raise our hats in a "thank you" gesture. 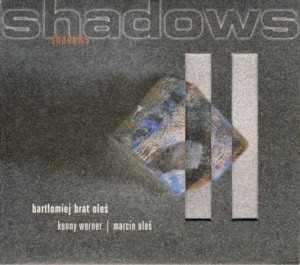 This is a superb album recorded by Polish Jazz musicians: bassist Marcin Oles and drummer Bartlomiej Brat Oles, collectively known as Oles Brothers, with the great American pianist Kenny Werner. Together, as a classic piano trio, they perform eight original compositions, seven of which were composed by Bartlomiej Brat Oles and one by Marcin Oles. Werner is an ideal partner for the Oles Brothers, as he one is of very few American pianists, who combine the Jazz tradition with modernism and are ready to step outside of the stuffy norms which keep most of American Jazz within the conceptual prison of mainstream. The Oles Brothers also combine the very same qualities; on one hand the respect and love towards the Jazz tradition and canon but at the same time a continuous drive to discover new forms and ways of expression, which will expand the genre's horizons. The full compatibility is immediately apparent and the resulting music is amongst the best of the Oles Brothers achievements. The music is based on solid melodies and typical piano trio approach to improvisation, which features extensive piano solos and intense accompaniment with occasional bass / drums solos. Werner is wonderfully lyrical, even when the notes he produces are distant from the melodic themes and enter the Free realm. The rhythm section is with him at all times, warmly supportive and intelligently sympathetic. Overall the album is a delight to all piano trio connoisseurs, and ranks among the true minor classics of that Jazz category. Considering how well this trio sounds it is a pity that the Oles Brothers did not record with Werner again – perhaps this can be remedied, hopefully soon. Of course it would be most interesting to hear them with other pianist of similar status as well. Wholeheartedly recommended! This is the first album released on the Fenommedia label, owned by Polish Jazz musicians: bassist Marcin Oles and drummer Bartlomiej Brat Oles, collectively known as Oles Brothers. It also features the iconic Polish Jazz saxophonist / clarinetist Mikolaj Trzaska, who was a member of a trio with the Oles Brothers at the time and the excellent French trumpeter Jean-Luc Cappozzo. Together, as a quartet, they perform eight original compositions, five of which were composed by Bartlomiej Brat Oles, one by Trzaska, another one by Marcin Oles and Trzaska and the remaining one is credited to all four musicians. The music is a wonderful strain of modern Polish Jazz, which flourished again since the beginning of the 21st Century, revitalized by a new generation of excellent and gifted young players, who were not only well schooled but also shared a passion for the music and were completely original and unstoppable. The three Polish Jazz representatives on this album are just a tip of the proverbial iceberg. Although structured and pre-composed, this music displays a tremendous amount of freedom, both in form and content. Trzaska, one of the founders of the Polish Yass a decade earlier, is a born rebel and shuns conventions of any sort. This album presents a rare opportunity to actually hear him play somewhat restrained and well tempered, but always beautifully expressive and emotional. Cappozzo also contributes some wonderful freely improvised passages, always just right for the occasion. It is for the rhythm section to play the role of the musical compass and lead the music to safe shores. Together the quartet performs simply magnificently, in a spirited and intelligent way, which balances perfectly between the written notes and the freedom of expression. These are four excellent musicians, a fact which is apparent immediately, and as an ensemble they function as a cohesive unit, which delivers unusual and interesting music, keeping the listener on his toes from the first note to the last. This music maintains its charm and remains untouched by time, always worth being revisited. 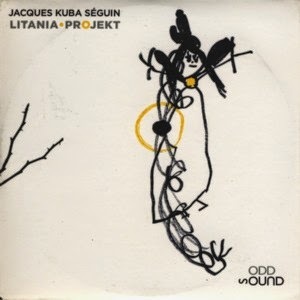 This is the third album by Canadian (of Polish origin) trumpeter / composer Jacques Kuba Seguin, recorded in a quintet lineup which features the Polish violinist Adam Baldych and Canadian musicians: pianist Jonathan Cayer, bassist Frederic Alarie and drummer Kevin Warren. They perform seven original compositions, five by Seguin and two by Baldych. Musically the material is all over the place; starting with an obvious wink towards the music of the legendary Polish Jazz trumpeter Tomasz Stanko - the album's title and opening track are dedicated to him - it moves towards contemporary Classical, Blues and Modern Jazz, but doest not sit really in place in any specific style, which sometimes works fine but in this case is just chaotic. There are some nice melodies, but overall the music simply goes nowhere. Even the two tunes by Baldych, who usually writes excellent music, in this case, although better than the rest, are still way below his usual standard. The performances are even more problematic. The trumpet and violin unisono sound is really dissonant and even painful at times, as if both are out of tune; as a result the combination of these two instruments is hard to swallow. Although all five musicians are highly skilled professionals, the overall result simply falls apart. There are problems with tempi, hesitation and basic lack of togetherness, which is essential in a small ensemble setting. Seguin and Baldych play several impressive solos, but those are hardly enough to save the day. Some of the a.m. problems might be the result of a very problematic recording sound quality, which is harsh and unpleasant, badly balanced and seriously damaging the listening experience. This is a classic example of an album which has a tremendous potential and turns out to be a failure. Good intentions don't cut it this time.